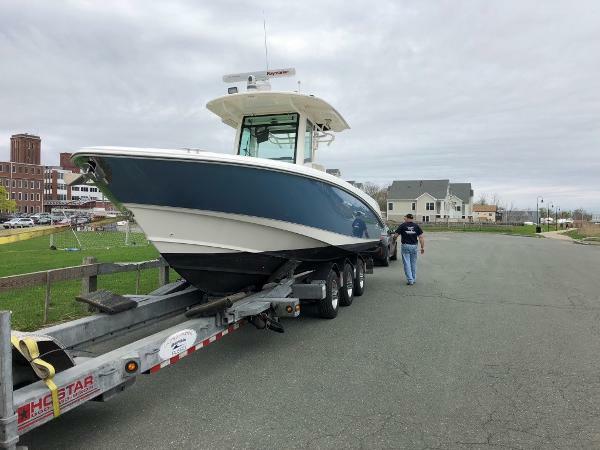 This 320 Outrage is new to market. She is very clean having been dry stored inside by its one and only owner. 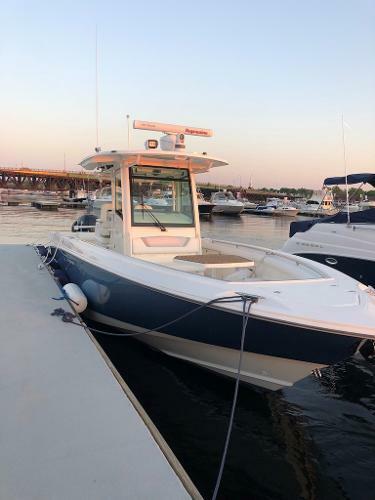 Also well equipped with JOY STICK DOCKING, SKY HOOK and AUTO PILOT with WHITE L6 300 Horse Power VERADO's having only 237 hours. The maticulous owner has stored the cushions in his home so they show like new. 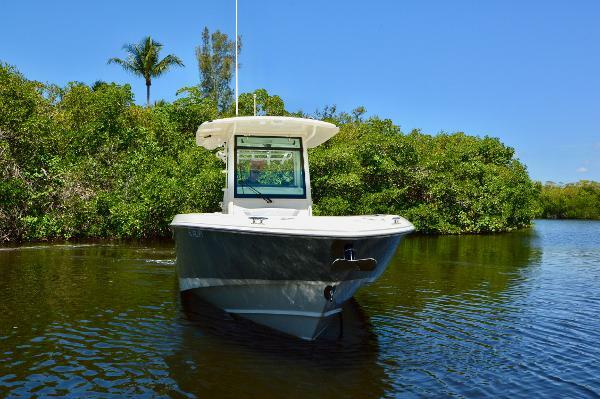 This gorgeous 320 Outrage is ready to cruise and fish with family and friends. Easily seen by appointment please call the listing broker for your personal viewing appointment. This vessel is not bottom painted. 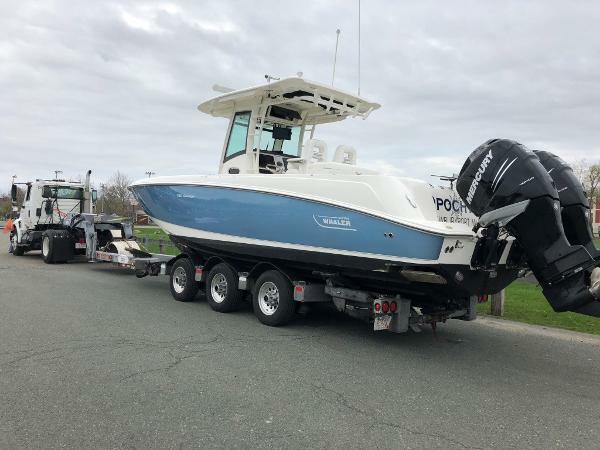 Options include: Joystick Docking with Sky Hook and Auto Pilot Twin Mercury L6 Verado 300 HP - 237 Hours WHITE Twin L6 300 HP Verado's Twin Simrad NSS12 mulitfuntional displays Simrad B150 M Chrip Sonar thru hull transducer Simrad VHF RS12 Ship to Shore Radio Mercury Smartcraft Gateway - connects to engine data and Auto Pilot Interface Platinum color painted hull Windless Anchor all chain Stainless Steel Anchor Fold down gunnel trolling seats Underwater LED lighting Aft Bilge Storage Rack Canvas Helm Cover Canvas Helm Seat Cover This vessel is not bottom painted The roomy 320 Outrage, with wide walkways and an expansive cockpit, is both an admirable fish-fighting boat and provides generous entertainment. Premium fishing features include the deluxe leaning post with livewell, three in-floor fishboxes, and under-gunnel rod racks. 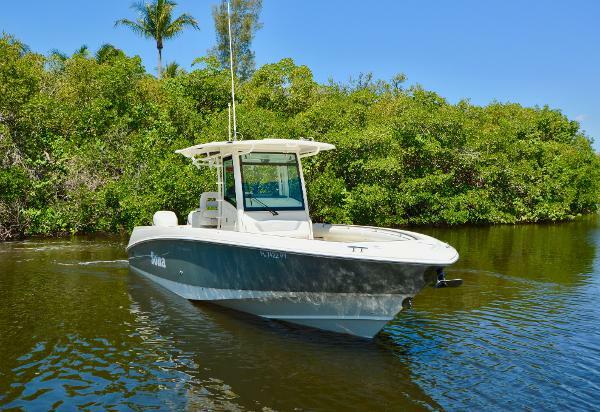 The 320 Outrage boasts a design with bountiful storage, including lockable rod storage and a forward 80-gallon in-deck cooler for staying hydrated during longer offshore cruising. This 320 has a freshwater sink, cutting board, additional drawers and storage. 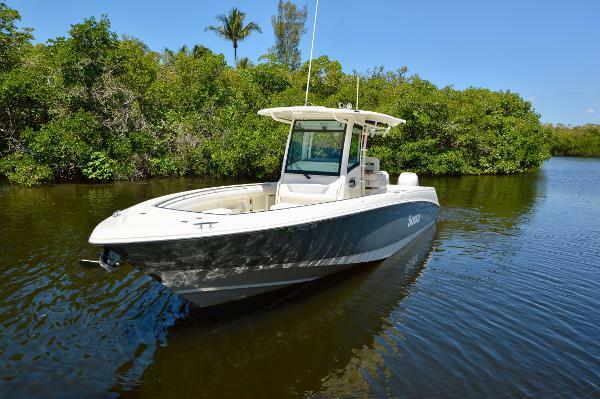 Fish, cruise or do both; the 320 Outrage is up to the task.